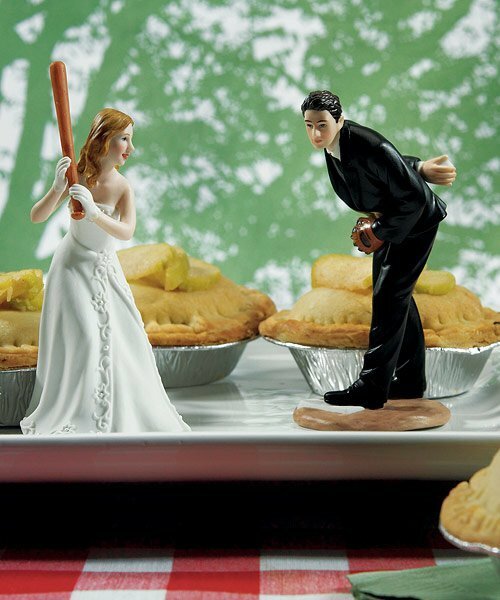 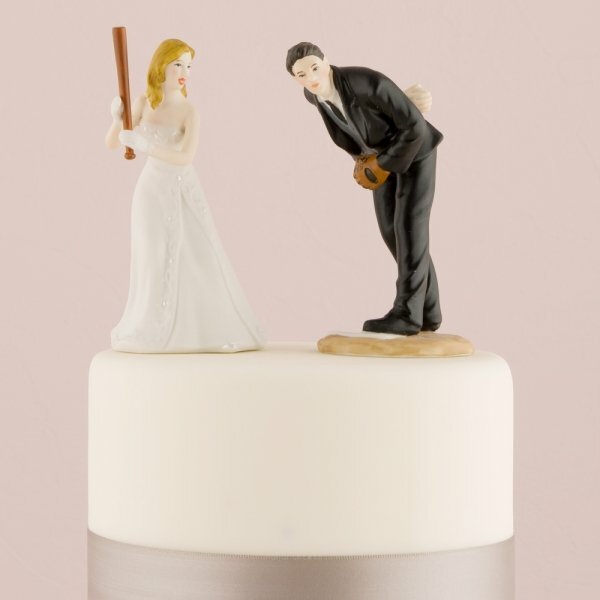 For all those sports fanatics, these hand-painted porcelain baseball wedding cake toppers are sure to be a hit! 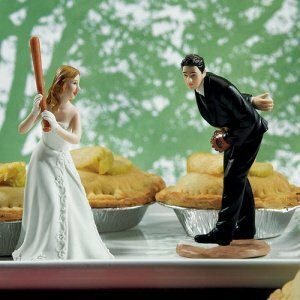 The bride is poised to hit a homerun while the groom is ready to pitch a baseball. 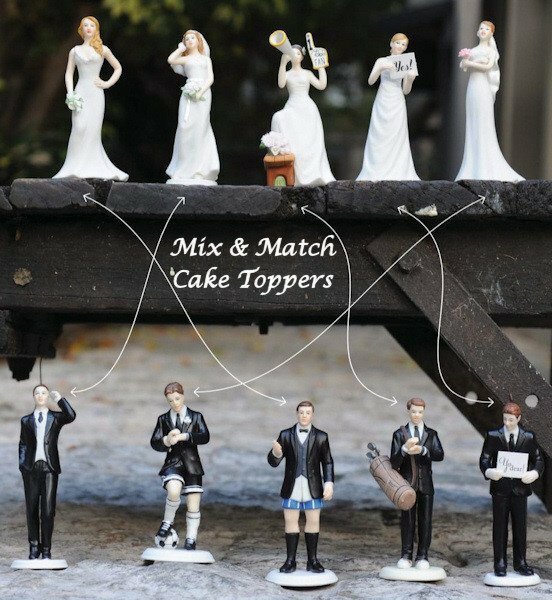 You can buy them separately to pair with any of our mix and match cake toppers or buy them as a set for a comical presentation.Product Dimensions: Groom: 3 x 2 1/4 x 4 7/8" H. Bride: 3 1/2 x 2 3/4 x 5 1/4" H.